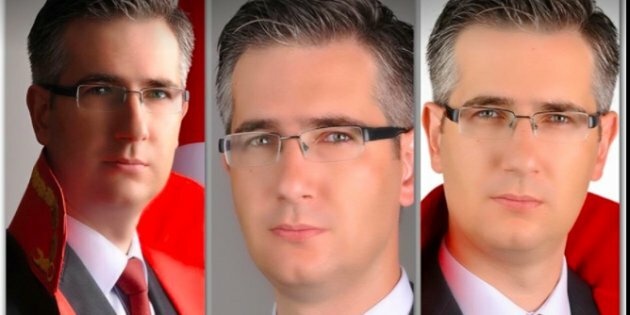 Under arrest for some 11 months, prosecutor Yiğit Acar has said his wristwatch as well as radio receiver was seized by the prison management. In a letter starting with “To my friends,” Acar said he fells worthless due to dire living conditions in prison and the lack of media attention to such conditions outside. Below are some excerpts from Acar’s letter. “It has been 11 months since I was put in this jail today. How long should I wait before the justice is served? Well, if I was released tomorrow, would it be fair? I don’t see this happening anyway. “My indictment was already prepared 1.5 months ago but oddly enough the court has yet to let me know. As far as I know, my first hearing was scheduled for Dec 14. That means I will appear before the court for the first time since my arrest. What, is it just? “At first, I was angry with those fleeing the country. I was asking them whether they are criminals or not. I have no idea if they are so but it is for sure they know better than me that the rule of law no longer exists in this country. Everyone knows the expression ‘To surrender to the justice.’ Now I see that the justice that I was once sure about the existence of had already fled the country before anyone else. “They now tell us that they would never give our radios back. Listening to music was my only joy amid all these hard conditions. They though we do not deserve this. On top of all, they took the watch that I have been using for 11 months. The reason is that the reason is that it is a calendar watch. It seems that they try to drive us insane. Otherwise, is there any rational reason for all these? Why would anyone be afraid of a radio, a watch? Then, I filed a complaint with the prosecutor against myself. If the government had an evidence that I was using the radio and the watch for an illegal activity, I let them to launch an investigation. Let them open a legal case. Let them judge and punish me. “It seems that I don’t deserve to be talked about as much as a dog. Now you ask why. Last winter, a dog fell into a well and everybody was mobilized to do something for it. You would remember that they saved him after a week of efforts and named it after ‘the well.’ The dog was on the front pages of newspapers and were aired during main news bulletins for the whole week. I have been at the bottom of a well for 11 full months, not for a week. Do you know any newspaper that talked about me and other innocent judges and prosecutors like me? “They burned me alive. I don’t know how long I can stand to this persecution and the injustice. “For the God’s sake, is it fair to schedule the first hearing five and a half months after the indictment is prepared? I used to do the same job. As far as I remember, I have never scheduled hearings to be held 1 or 2 months after the indictments.